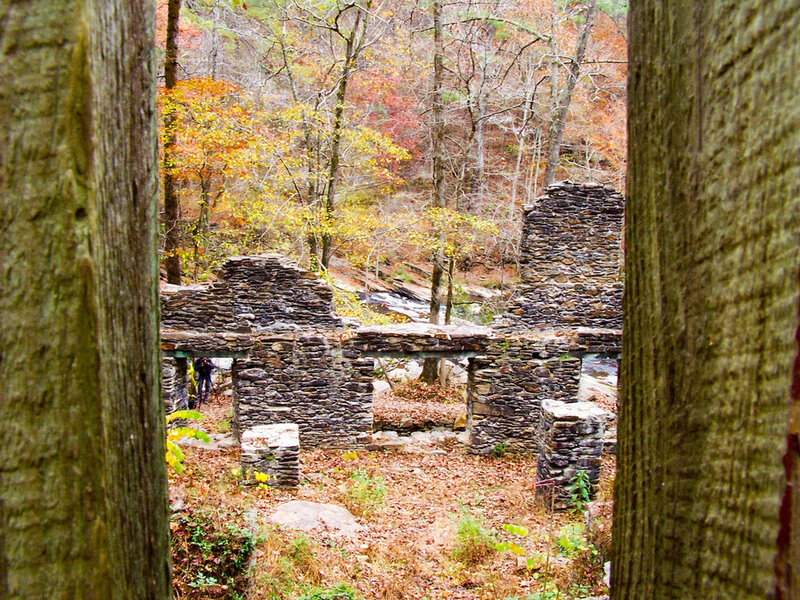 The paper mill ruins are the highlight of this park segment. The ruins are located near marker SC27 on the map. This segment connects to Cochran Shoals via trails. Mountain bikes are allowed on some segments of both Sope Creek and Cochran Shoals.